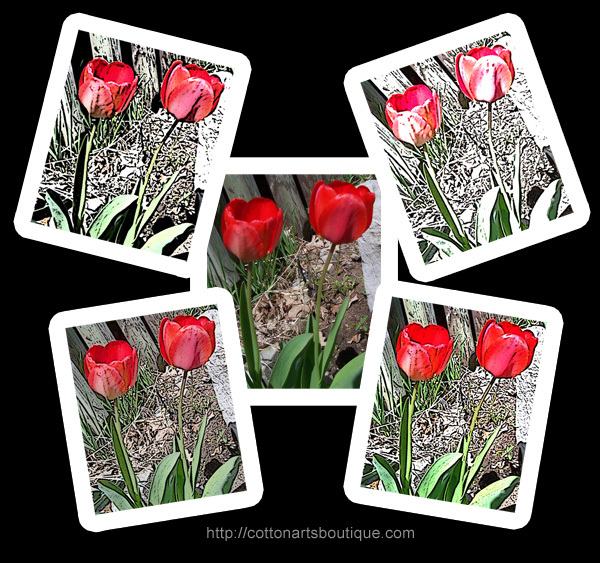 The first month for the Just Art Challenge on Facebook brought us a challenge to use a coloured image along with outlines of that same image. There have been some wonderful pieces done. This is my piece along with a sample of different filters and effects done in PSE 11. 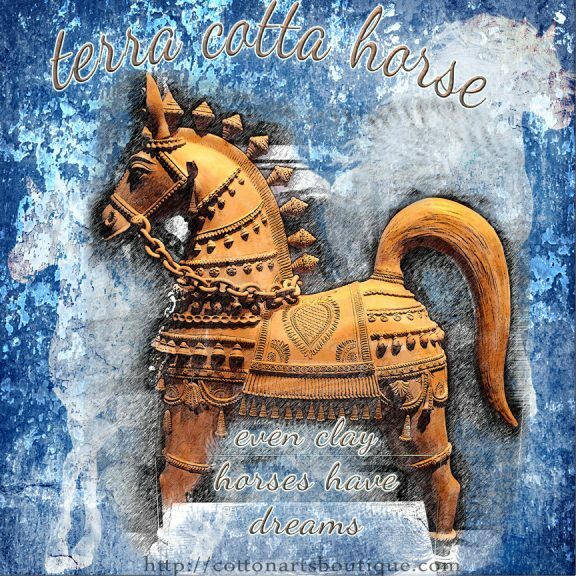 The terra cotta horse was one on display at our museum several years ago. I fell in love with the fellow which is approximately the size of a pony. An amazing piece of art. I used a filter from the sketch series, a background, two horse shapes along with some effects and transparencies and the brushes in eraser mode to first bring out the clay horse and then to take away some of the background of the horse image. This is a sample I did using several different filters and effects before working on the piece itself. I did not however, use brushes on this piece. The original image without filters is in the middle.